I have personally seen it and spoke with TDI's guys about at the 2008 SHOT Show in Vegas, and then again this year. 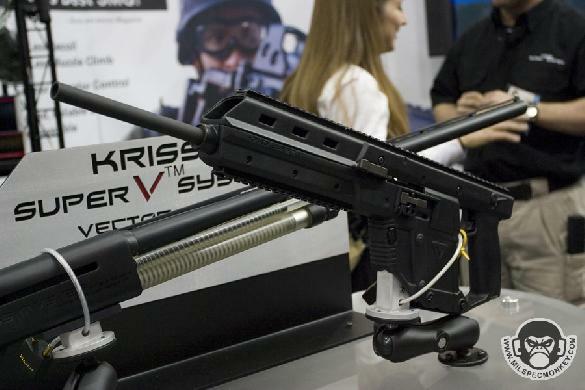 The "KRISS Rifle", as you call it, was mainly nothing else but a prototype for a selfloading sporter carbine with civilian-legal barrel lenght, what later became the KRISS CRB/SO (they just resorted into using a standard KRISS Super-V "Vector" sub-machinegun with a civilian-legal-lenght barrel masked as a sound suppressor). It was in fact called the "Vector-CRB", as you can see from the pictures. The concept has not totally been shelved anyway. 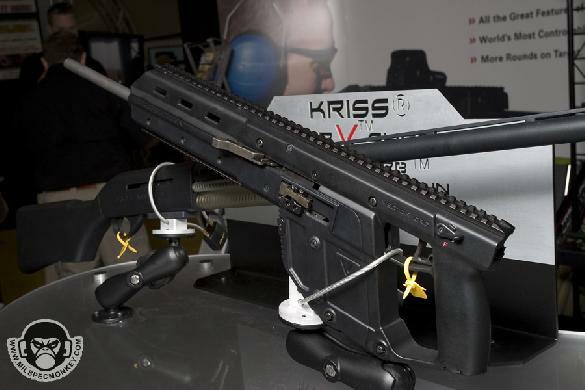 The fine folks at TDI are indeed trying to manufacture a "KRISS assault rifle", using a long Super-V chassis to exploit the great recoil-depleting properties ov the KRISS system. Their aim is to make an high-caliber rifle, 7'62x51mm to say (they state the 5'56mm doesn't needs the KRISS system to have a lower recoil). 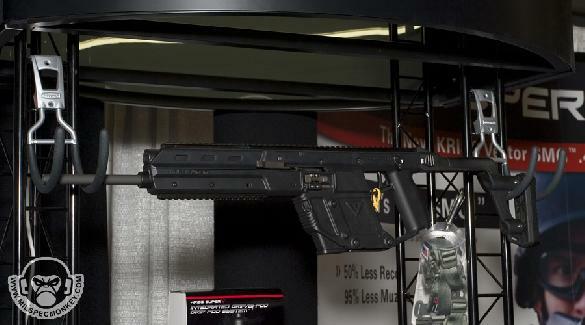 If they really REALLY manage to do it, maybe the warfighters of the future (hopefully not THAT far future) may have a 7'62x51mm select-fire battle rifle handy using a system that might make it have actually less recoil than a 5'56mm. Hope for that.